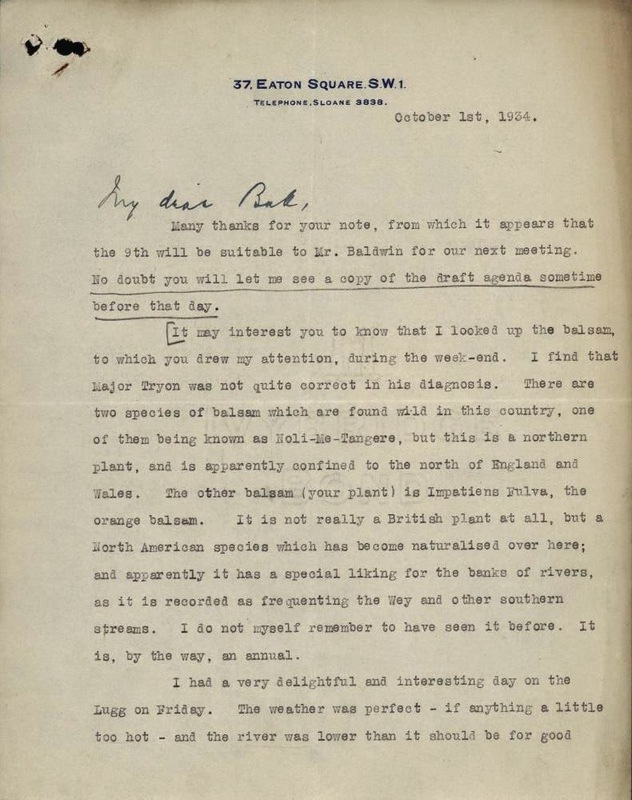 To mark the start of the new coarse fishing season today, we are featuring extracts from 80 year old correspondence between Neville Chamberlain and Joseph Ball which was recently ‘discovered’ in the Conservative Party Archive, testifying to their shared love of fishing. 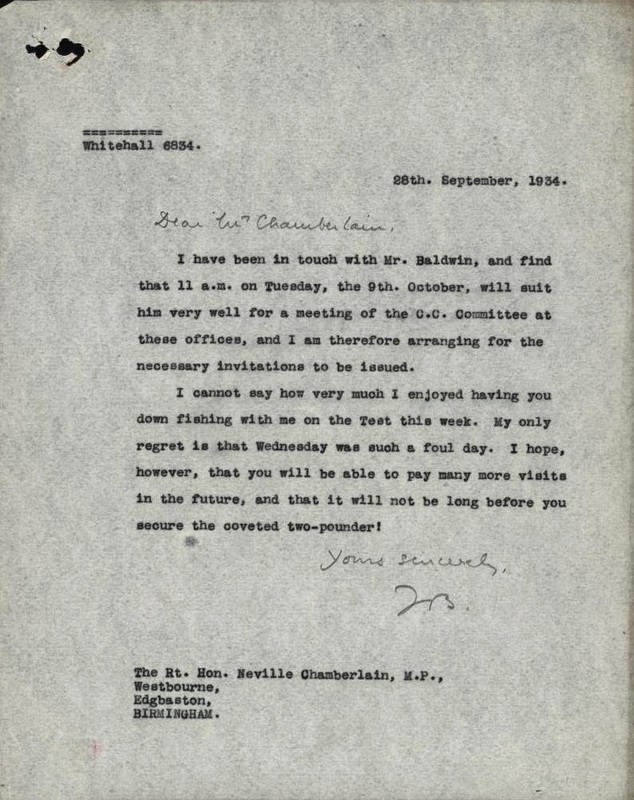 The letters, between Chamberlain and the Director of the Conservative Research Department date from May-October 1934 and ostensibly concern the formation and progress of the committee set up by Chamberlain to re-invigorate the National Government, then still led by Ramsay MacDonald, with policy ideas to take forward as Government policy for the 1935 General Election. While the exchange between the two certainly make reference to the Cabinet Conservative Committee, as it was known, much of the content focusses on trout fishing on the rivers Test in Hampshire and Lugg in Herefordshire. 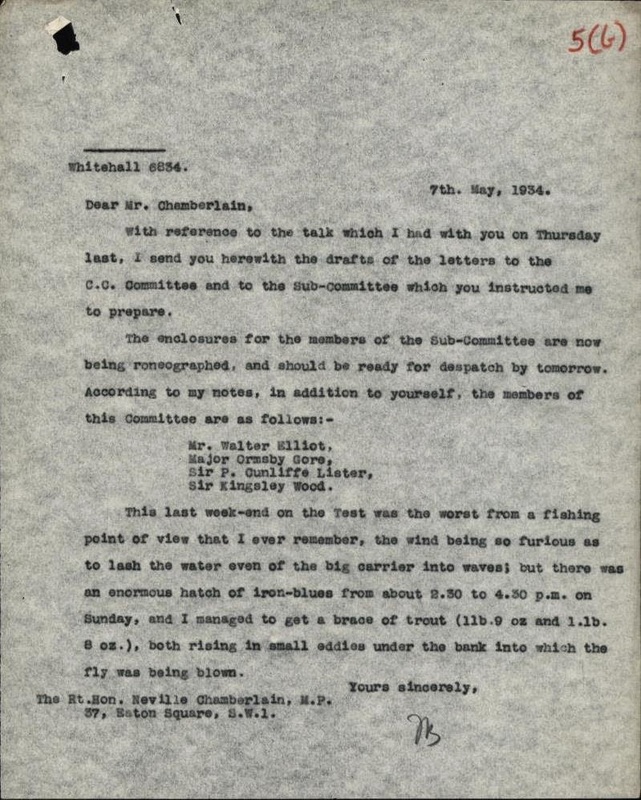 Under the guidance of Chamberlain and Ball, the Cabinet Conservative Committee continued its deliberations until July 1935. The series of memoranda and reports it produced helped ensure a Conservative and National Government victory at the general election in November 1935. The result of the election, which saw MacDonald lose his seat and Baldwin replace him as Prime Minister, confirmed the dominant position of the Conservative Party within the National Government. 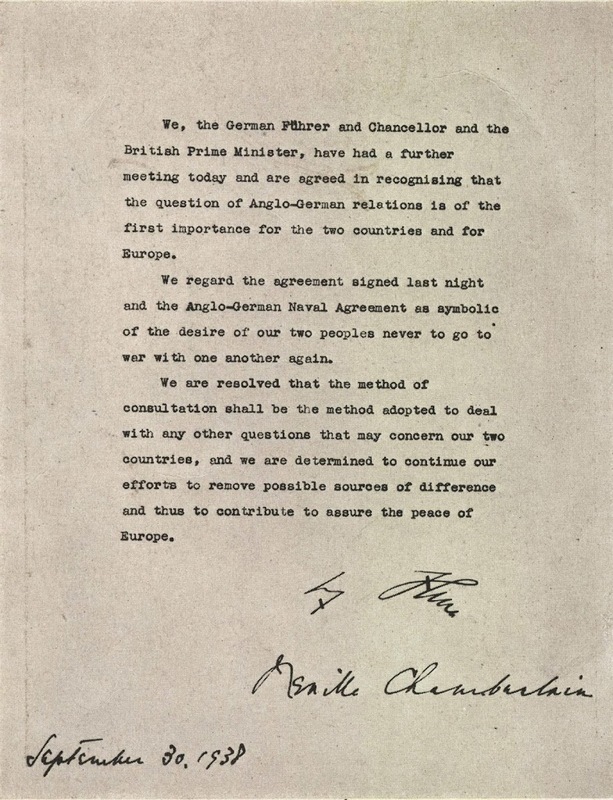 Chamberlain himself took over the helm from 1937. 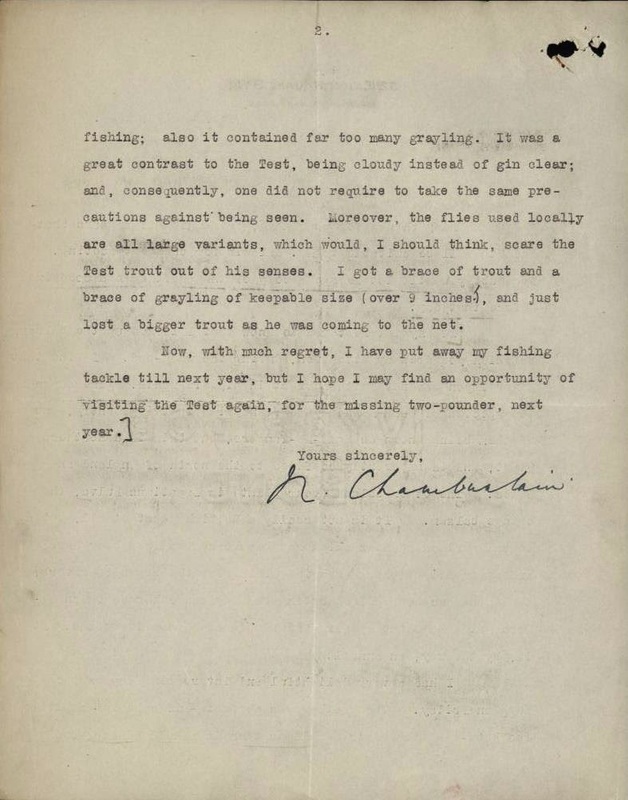 Chamberlain’s love of fly-fishing was well known. 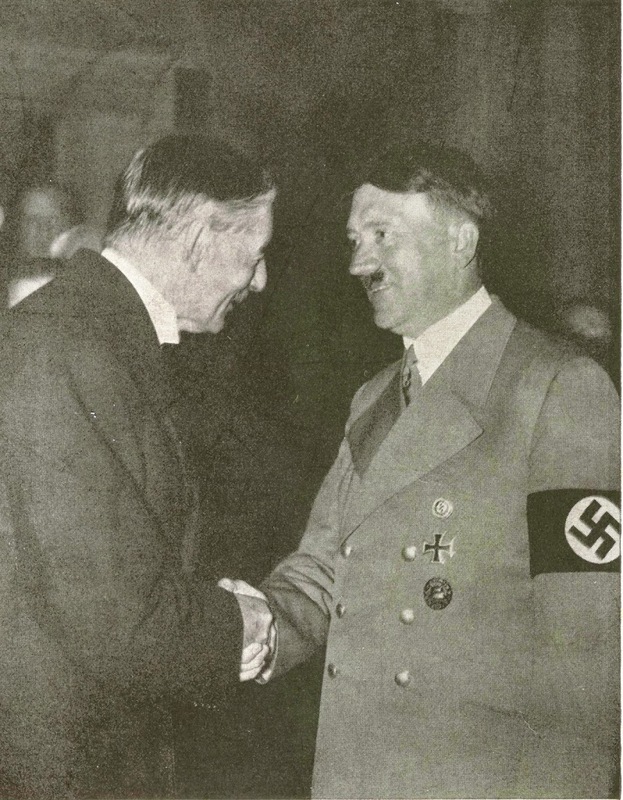 Amidst the public adulation with which he was greeted after his return from the Munich Conference after having pacified Hitler over Czechoslovakia in September 1938, Downing Street was inundated with gifts, including several fishing rods and numerous salmon flies.